We execute the whole process of collecting the items, opening, handling and gathering them in package for your promotional campaigns and shipments. Once the items stored, we prepare each of your orders adapting its packaging to its size then to distribute it where the customer wanted it to be. 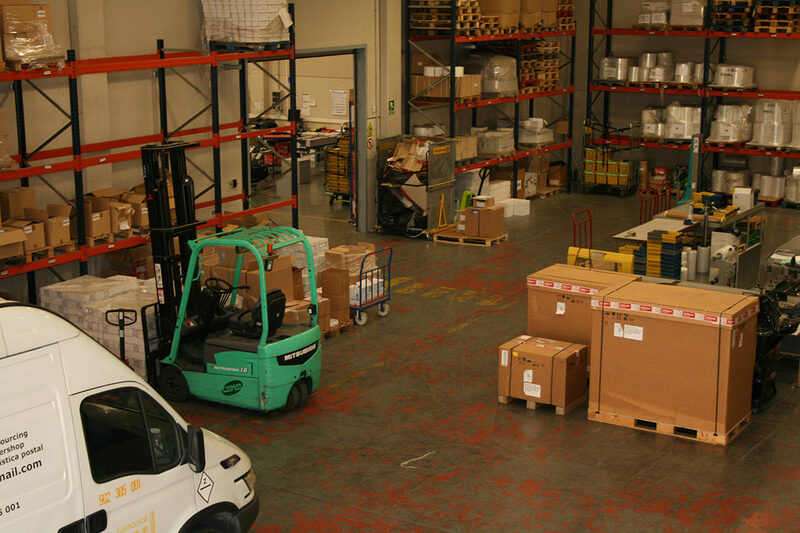 Thanks to our computer systems, we can control the inventories in real time and keep you informed about the stored goods, movements per zone, date or product and control the deliveries. Moreover, the shipments orders can be done at any moment. We can deliver the orders to our client facilities or directly to the final recipient, always looking for the best collaboration agreement between the different operators depending on the campaign size, weight and destination whether it is local, national or international.